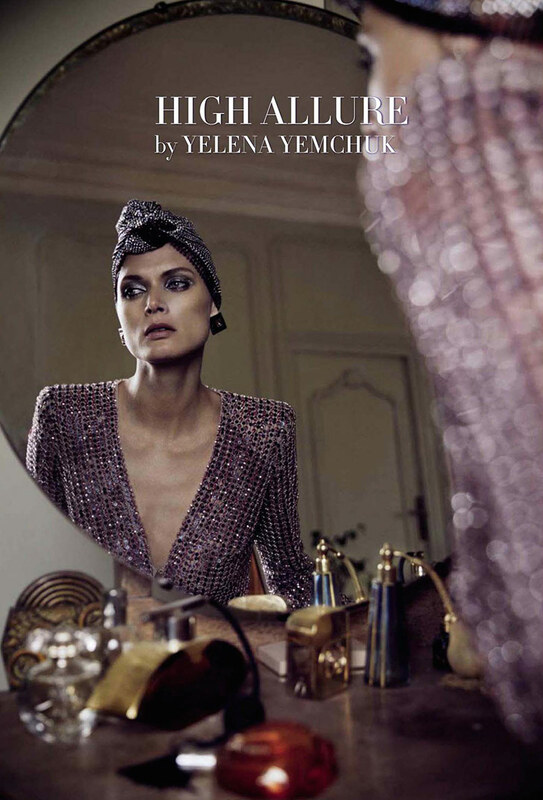 A presentation of the modern 70’s is captured by Yelena Yemchuk in her story ‘High Allure’ for the March 2014 issue of Vogue Italia featuring Malgosia Bela. The outlandish and modern version of the disco 70’s is taking its course in the latest issue of Vogue Italia. Glitter, glam and turbans are picked out by stylist Anastasia Barbieri to portray the luxurious essence of a western heiress in the exotic Middle East. 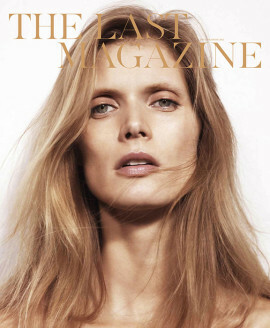 Polish beauty Malgosia Bela is looking flawless when presenting the glitz and glam of Yelena Yemchuk’s polished editorial whilst acting out her elegant movements. Make-up artist Lloyd Simmonds has created a smoky eye make whilst hair stylist Sebastien Richard has graced Miss Bela in exquisite headpieces which truly embodies the shoot’s glossy etiquette.